Getting ready for Renegade this weekend! My first time doing the show! I’m making quite a few one-of-a-kind necklaces to sell this weekend and I’ll be posting some of them here this week! 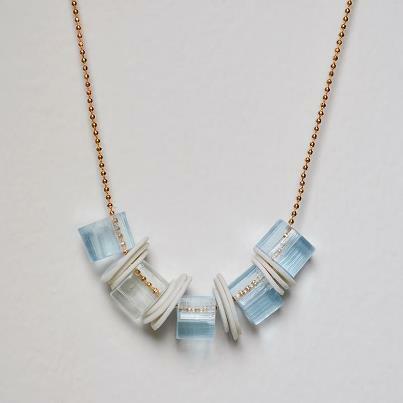 Here’s a rose gold chain, custom laser cut acrylic and porcelain bead necklace!